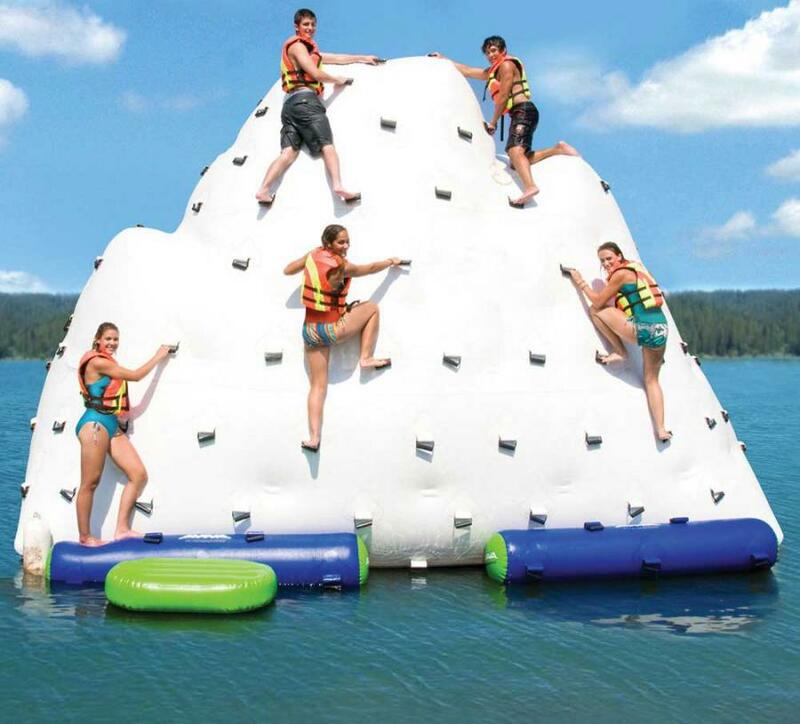 The giant iceberg climbing wall is basically a floating mountain that you put in your lake, and can climb up and fall off without the repercussions of instant death, but instead end up with a nice cool dunk in to the lake. 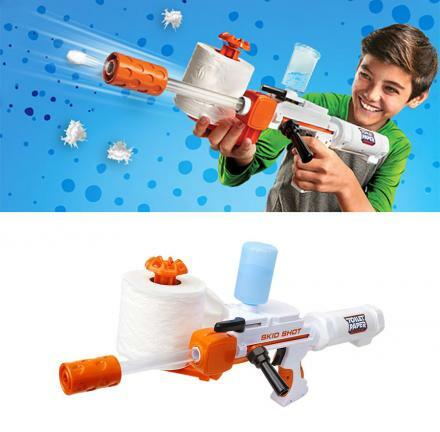 The giant inflatable climbing wall unfortunately can only hold up to 1,500 pounds of weight, so you and your girlfriend will most likely have to take turns using the climbing wall, but luckily if you do decide to use it at the same time, it comes with a repair kit that includes 2 repair patches with 2oz of glue. 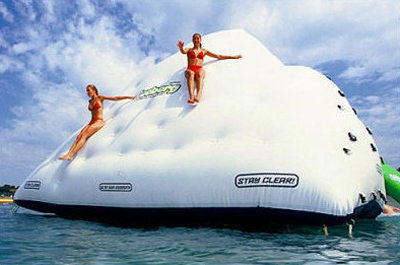 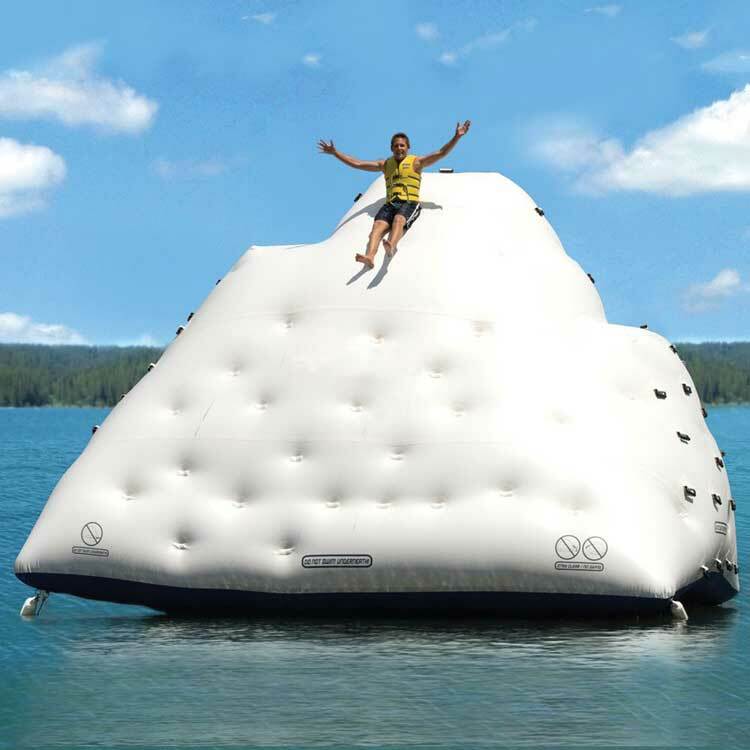 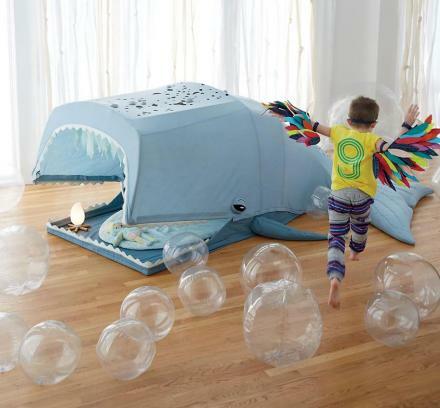 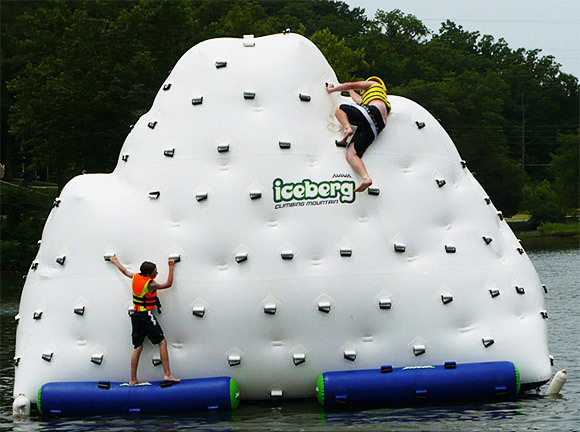 The giant iceberg inflatable climbing wall is made of durable PVC, comes with a 5 year warranty, and measures 14 feet tall.